GRAFENWOEHR, Germany - Even across eight nations' uniforms and six languages, some ideas require no translation like impressive tanks, a friendly competition and the importance of building multinational cooperation. That was reported by www.army.mil. 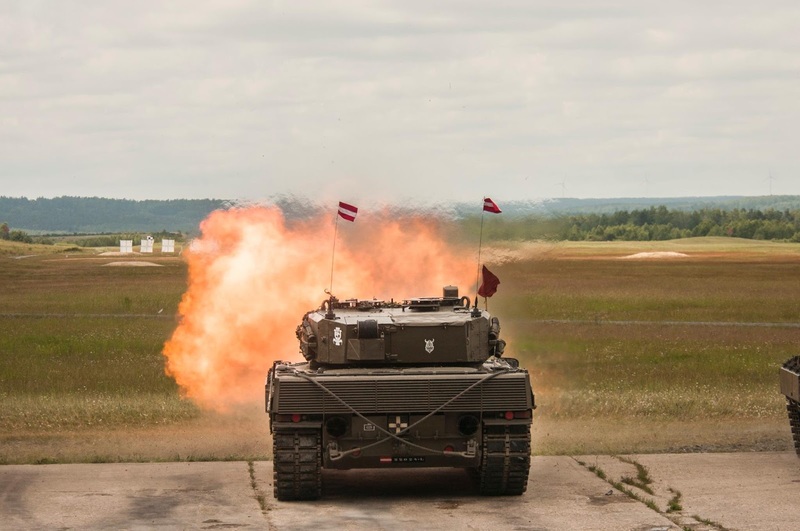 The third annual Strong Europe Tank Challenge has brought together eight nations to learn from each other, as well as engage in some good-natured rivalry to find out who is the best - for this year, anyway. 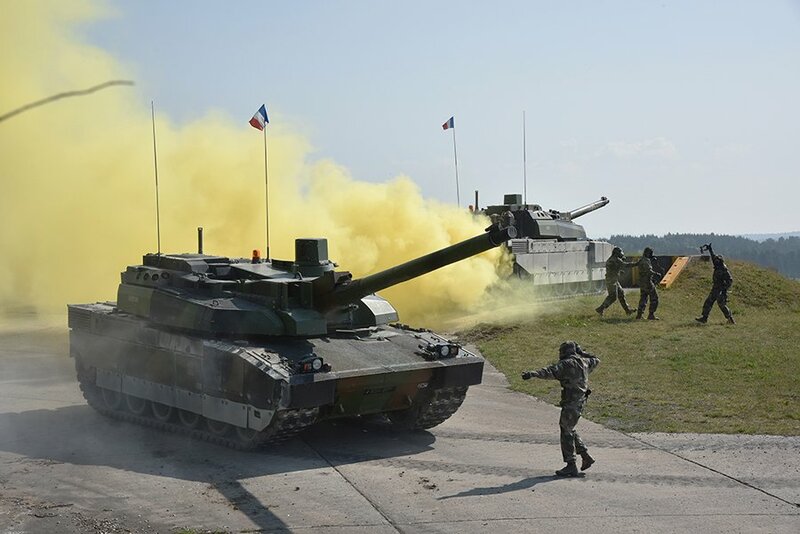 "All the teams here will win something very important - more than the first or second place - this cooperation, the fact that we are all together, all linked by tank spirit, we will all win something," said the French Army's Maj. Philippe Aubetien, officer in charge of his team. During the weeklong event, participants will build friendships and personal relationships in the motor pools, camps, lanes and ranges, as well as use the competition as a training tool to strengthen and grow each countries' tank program. "Every country has their own way to solve problems; their own way of thinking; their own mentality. If you only stay in your own country and you are going the wrong direction in the development of your tankers, then nobody is there to stop you," said Austrian Capt. Stephan Länglacher, senior national representative for Austria. "So in five to 10 years, you are somewhere you should not be, because you were going the wrong way. "When you make it a competition, because everybody is giving 110 percent, so the training is more effective," he said. This year's contenders are the Austria's 6th Tank Company, 14th Panzer Battalion who has the Leopard 2A4; France's 1er Régiment de Chasseurs, 1st Hunter Regiment who is showcasing the Leclerc; Germany's 3rd Panzer Battalion who brought the Leopard 2A6; Poland's 34th Armoured Cavalry Brigade who has the Leopard 2A5; Sweden's Wartofta Tank Company, Skaraborg Regiment who is operating the Stridsvagn 122; Ukraine's 1st Tank Company, 14th Mechanized Brigade who brought the T-84; the United Kingdom's Queen's Royal Hussars who is using the Challenger II; and the U.S.'s 2nd Battalion, 70th Armored Regiment, 2nd Armored Brigade Combat Team, 1st Infantry Division who is on the M1A2 SEP.
"I am looking forward to seeing how other nations work," said Sweden's Capt. Christian Wester, tank company commander and team leader. "Small things about tactics: how you work best from a battle position or how you, in the most efficient way, attack a target. 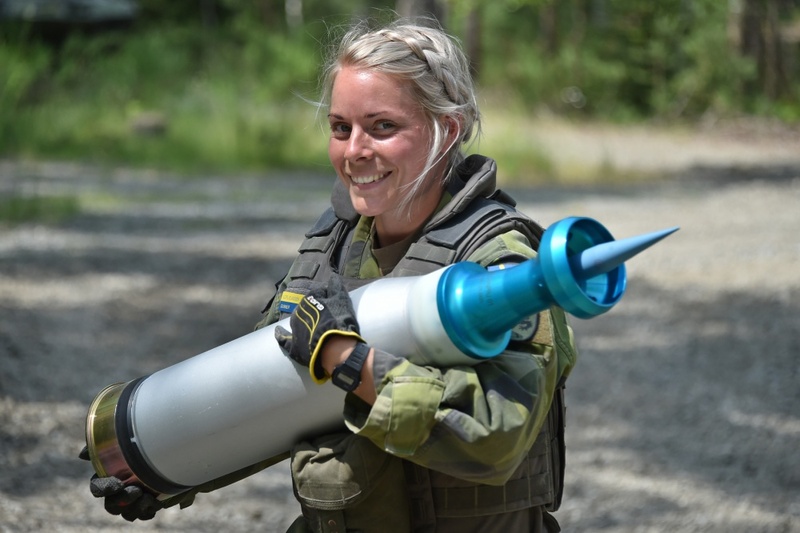 That is the most relevant part for us, and it will be fun to be able to speak with other officers and Soldiers and see how they work, so we get to be a little more interoperable with each other." He added that the big picture - besides boosting morale - is gaining connections with all the other countries and exchanging experiences. 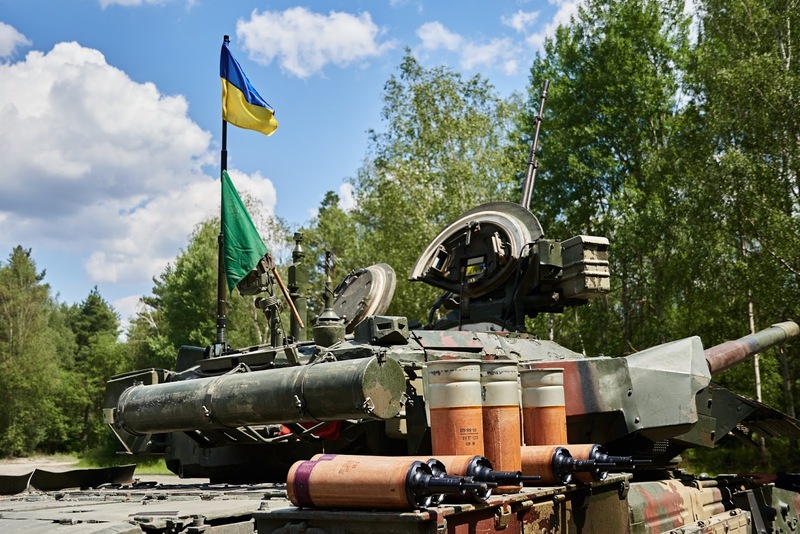 Experiences like how others may move in the field, what kind of special tactics they have, how they train, what equipment they use and the tanks they have in their Army, according to Poland's Mateusz Magdziak, commander of the crew. Across the training area, various members of the different platoon crews agree. The U.K.'s Trooper Gary Sims, a driver on the platoon, said it was important to build relationships first and foremost to learn these different traits, processes and techniques from each other. "Hopefully make ourselves a lot better in the process and share our techniques with them and hopefully, make them better themselves as well," he said. "To see how they train and how we train, and to put it together and learn something new," is what U.S. Spc. Darius Schauer, a loader for U.S. Army Europe's regionally allocated force, said this competitive training event would bring to his team, adding that it was a once-in-a-lifetime experience for him "to see different techniques (on) how to improve my load time, different strategies and techniques." Even with every country wanting to claim the title for their own, the challengers understand their primary focus is building camaraderie, strengthening professional contacts, sharing tactical tips and sharpening skills across the borders.